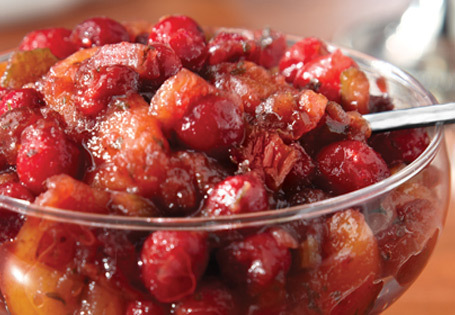 Cranberry sauce upgraded to a chutney. In a medium sauce pan, combine all the ingredients except the fresh cranberries. Bring to a boil. Reduce the heat to low and simmer 30 to 40 minutes until the apricots are tender. Stir in the fresh cranberries and cook until they pop, about 10 minutes. Remove from heat; transfer the chutney to a bowl. Refrigerate 1 hour or overnight.